I didn’t hop on a 16-hour flight to go run a conservative race! Since I’ve been finishing up our eBook: “The Sage Running Secret: A Guide to Speedy Ultras, How to run faster on any surface at any distance,” I decided to do a VLOG entry of my Race Report for Comrades (video is always my preferred medium on social media anyway!). If you tune in below you can listen to the whole 15-minute blow-by-blow details of how my race went down, how I felt about the experience, and what I learned I need to work on in training to improve. 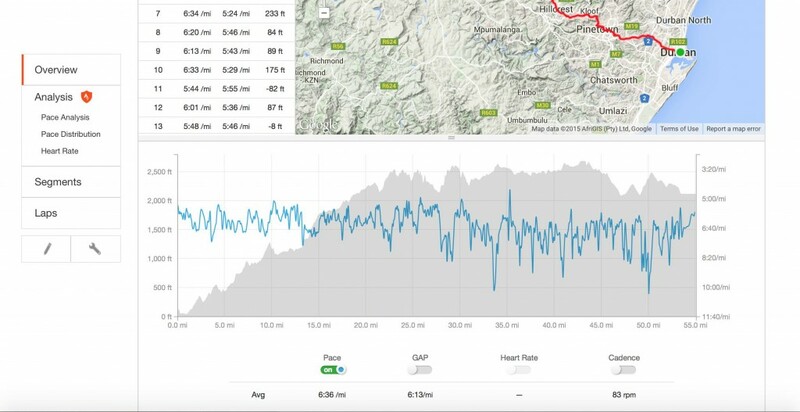 Spark notes version: I ended up finishing in 15th place (top American) and running a 6:03 for the 55-mile, net uphill course (a little over 6000′ of climbing). It was a pretty brutal race for me and I felt totally underprepared for the task of pounding the pavement at low 6-min mile pace on those hills, in the heat, for that long. About halfway in things got pretty bad and I started fading but was able to hold it together enough not to start walking. Next time I will train smarter and more specifically and hope to improve. No regrets with the race execution though as Max King and I put ourselves in position to try to podium and/or win and so we really went for it! Sometimes you pay the price hard. In short, Comrades was an amazing experience that can really only be captured by doing the race yourself! I view it as the most competitive ultra marathon race in the world and was truly humbled by the course and the depth of competition (20,000 runners!). Also with the race in it’s 90th year, the history there is spectacular. Finally it was enjoyable to experience the kindness and generosity from so many in South Africa..from fellow competitors in the race to spectators dancing out on the course! Hope your training is going well and thanks for tuning in! 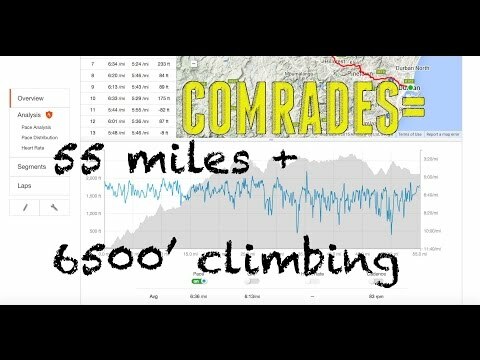 Strava.com data from my run at Comrades! 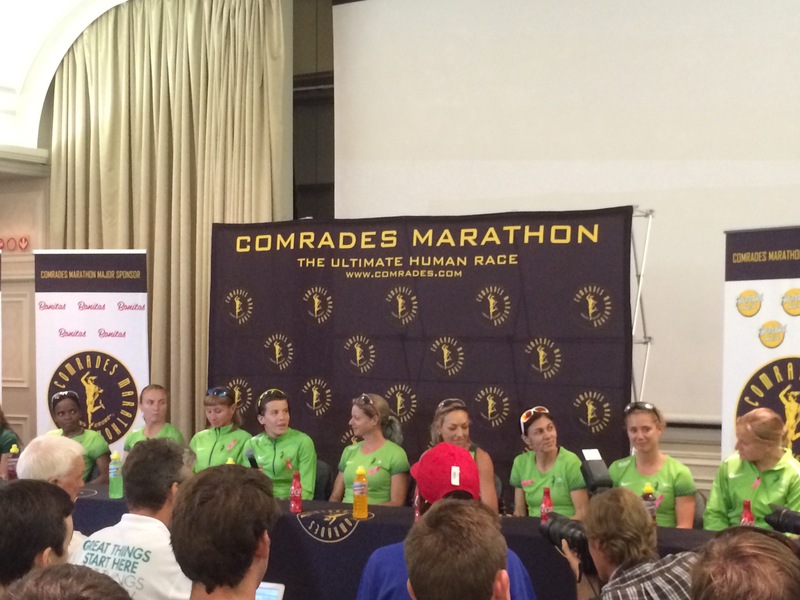 Most of the Nedbank women’s team at the press conference. 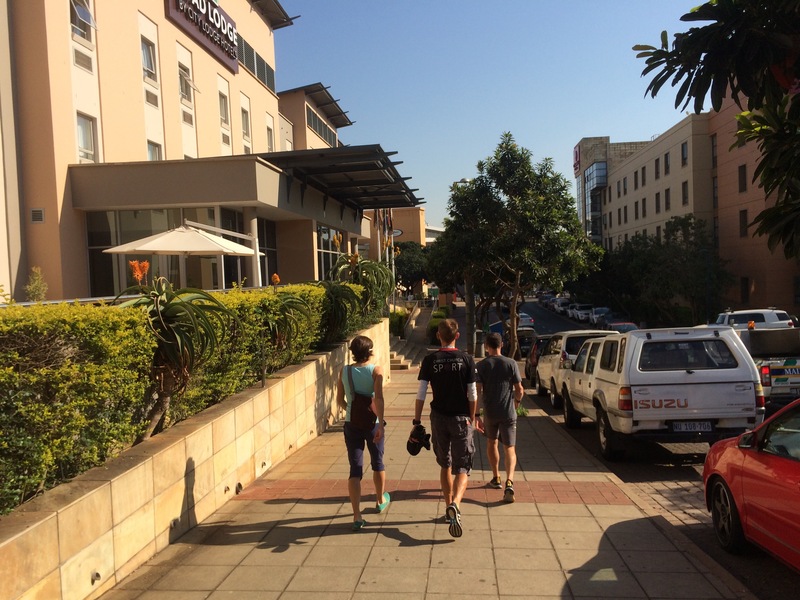 Walking to the mall with Ellie Greenwood, Phil Anthony and Max King. Max and I went to see the movie “Mad Max” in 3D! On the beach!…Indian Ocean was nice and warm! Hey Sage, well done Sir. Impressive stuff. Looking forward to watching the YouTube video. Thanks for following along – glad you like the Vo2max Productions youtube channel! I wish you all the best in running! great race, and way to gut it down there in SA! i really hope to make it to comrades, and since next year’s trip will be to boston for the marathon (first time ever! ), maybe i will see you at comrades 2017! Hey thanks so much for the support Patrick! One day for sure you’ll have to make it there! Hey Sage, great running. I was there too (just a mere 1:41 behind) and I agree it’s an ultra like no other, only participating can one appreciate the experience. I bumped into the 12th place finisher who was working with you till halfway and he also struggled from Dummond. The down is another ball game with some steep downhills at the last 30km hammering the quads. You have to go back next yr.
Hey Congrats on your race! It was quite an experience and very tough. I’d love to come back – although I’d like to just improve on the “up year” course first! Hey thank you! Yes, I’d love to come back…but maybe in 2 years! Outstanding results Sage! Looking forward to see all your accomplishments for 2015. Can’t wait to read and plug in my run schedule when your ebook comes out. Hey thanks so much for the support Isaac! Well done Sage. Excellent performance. I also competed in my first Comrades although coming in about 5 hours after you. I think you were already on the beach with a black label at that point. Glad you enjoyed South Africa. Hope to see you back for another Comrades or 2 Oceans. Hey congrats on your Comrades finish! It was quite the race and quite the challenge. Hope your recovery has gone well and hope to be back for another one! 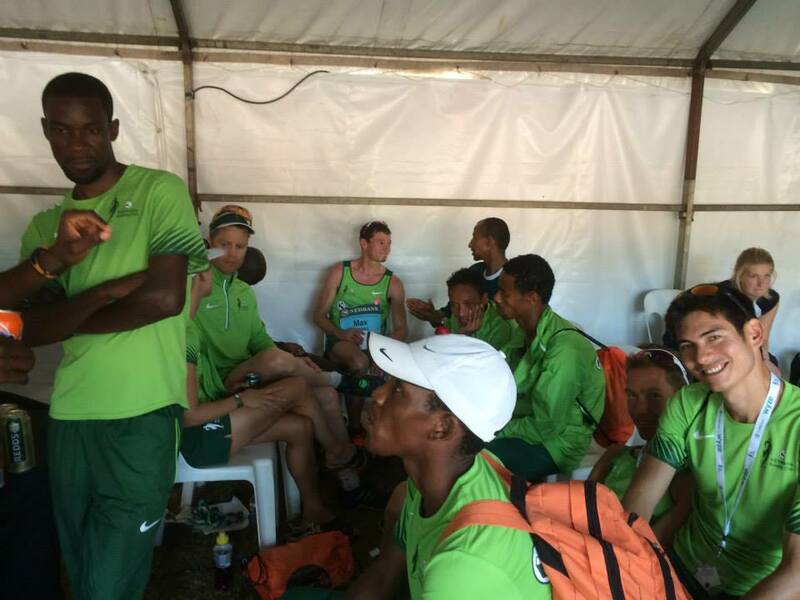 Well done on your first Comrades. You are a great runner and can win this race. The down is a different race. Mail me if you want to win next year. Hey thanks so much for the support! 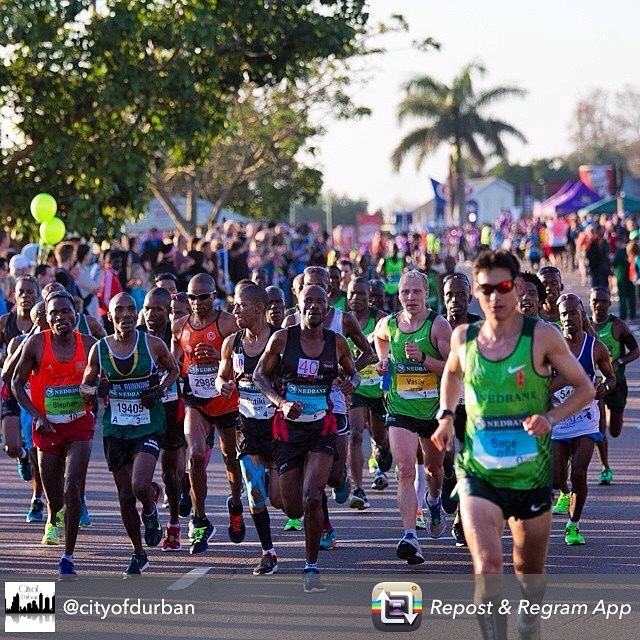 Comrades was very tough for me…I’d like to try another up year before even attempting the down (since the downhills destroyed me this year and I consider myself an “uphill specialist.”) I’d also really love to try 2 Oceans! Hey thanks so much for your support! Glad you like the videos – i’ll try Comrades again in 2017! Hi Sage! I watched your youtube video and found it very inspirational. I was hoping that you would be back running Comrades 2016. I see Max did very well this year. I am hoping that when you come and compete in 2017 that you will be on the podium and standing in the number 1 spot! Thank you Devon! Yes, I would love to come back to Comrades in 2017. I want to try the “up” year first again! 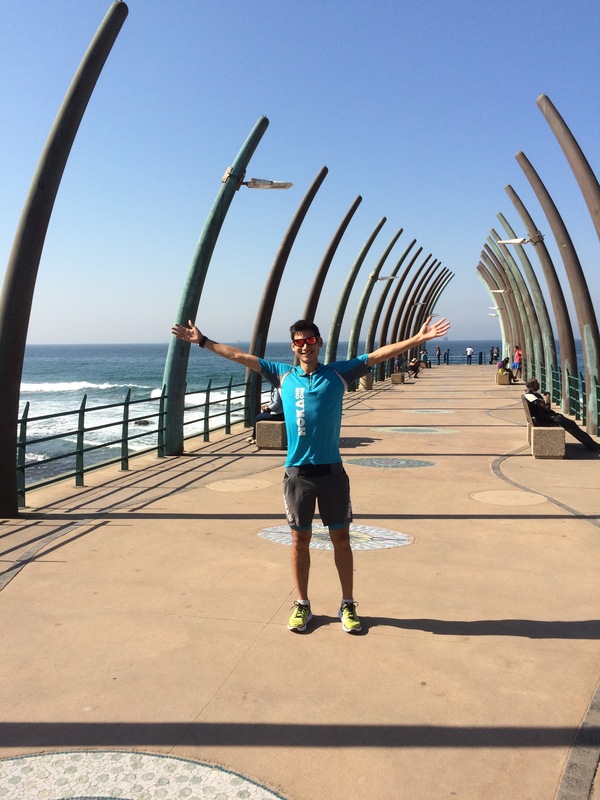 Two Oceans is also on the list of races I’d like to do one day.